Golf Digest 2018 Hot List Gold Medal Winner! 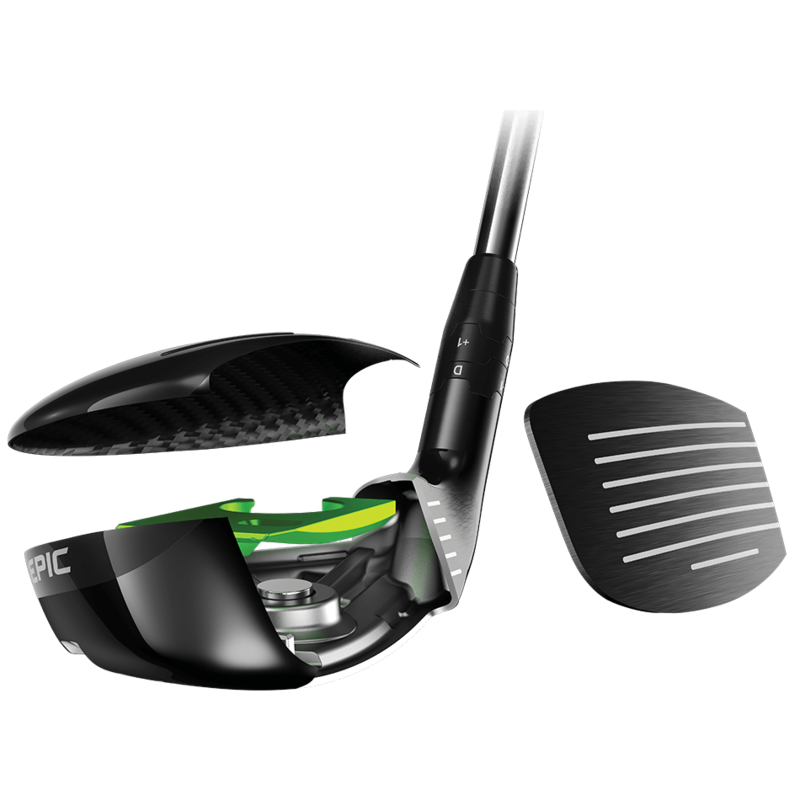 Epic is the first hybrid to incorporate our revolutionary triaxial carbon crown, and we've gone beyond the boundaries of time, material and performance to deliver a higher level of distance, control and versatility. Epic Hybrids is rated 4.8 out of 5 by 74. Rated 5 out of 5 by WedgeGuy from Awesome stick My purchase of the EPIC #4 hybrid is the best purchase I've made club wise in over 50 years of golf. It worked out immediately. Heck, I've not even tried tweaking it yet. I was flabbergasted the first time I took it to the range. . Rated 5 out of 5 by bbgolf from love these hybrids I have 2 of the hybrids now and previously had 2 steelhead hybrids. the steelhead hybrids are nice, but these seem to be a better hybrid. feel, flight, distance, and weight are great and to be able to change the lofts depending on course or whats in the bag is a deal breaker for me. love them and I seem to get about 10 more yards on them. Rated 5 out of 5 by 4dpackers12 from Excellent Hybrid Great Feel and adjustability that most hybrids don't offer. Rated 5 out of 5 by Anonymous from Incredible club that delivers on all of the Hype. I played a 19 and 23 Nickent Genx 3 hybrid for almost 10 years and could not find a suitable replacement. I started toying with a Callaway 815 Alpha until the new Epic Driver arrived. I bought the GBB Driver and was so impressed, that I ordered the 20 and 24 Epic Hybrids before they were available. Solid right out of the box! Woods and Irons, these are the most impressive clubs on the Market today. Rated 5 out of 5 by Worm Burner from Fine Quality, Great Feel and Forgiving After a pro shop demo, I was sold on the Epic line. My first purchase (2 hybrid) is a game changer for me. I'm generally not a long ball hitter but this club has salvaged countless second shots. It hits long and true. The Callaway Epic is not just a golf club. It's a fine quality instrument.